The global Managed Service Provider (MSP) market continued to remain one of the fastest growing single-process HRO markets. It posed a high growth rate of 12% in 2016 backed by the strong rise in the emerging markets of Asia Pacific and Latin America. The market is also undergoing a significant change as other service providers from the BPO and PO areas make inroads in what was earlier the exclusive domain of traditional MSP providers. This is in part necessitated by the changing face of MSP with a broadening of its scope to include SOW / services procurement as well. With an increased inclusion of freelancers in the workforce, buyers are looking to MSP to help them mitigate various types of risks and contain costs. MSP service providers are investing in developing Freelancer Management Systems (FMS), in order to serve buyer requirements. Increasingly holistic approach to talent management is leading to adoption of the blended model. The blended model has seen the most penetration in Europe, especially in United Kingdom, while other regions are still to see any significant adoption. 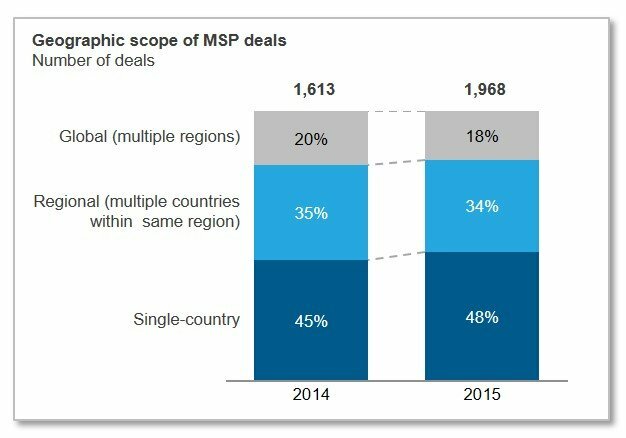 MSP deals are increasingly becoming multi-country in scope, including global multi-continent deals. However, only a few service providers have strong capabilities in this space. The market is also witnessing higher adoption of large and mega- sized deals, led by multi-country deals and expanding scope of MSP deals.